You’ve got an event coming up for your business, charity or even personal (wedding, birthday) but just don’t have the resources to organise it? Well, in this case, you may see the potential benefits of hiring an event planner. If you don’t have any references from friends or colleagues you will have to start from scratch and interview and evaluate a few different planners before choosing the right one to make your event a reality. It’s not hard to find an event management company or freelance event planner since there are hundreds out there. But you will need to eliminate the “so called” planners, that lack important skills and experience to effectively produce, manage and make your event come to life. Hiring the bad event planner can lead to poor outcomes, jeopardize your finances and public relations. To find out if your chosen event planner is a good fit for your event, ask them what type of events they most frequently work on. Not all events are the same and there are many different types (conferences, trade shows, weddings, reunions, sporting events and fundraisers) so knowing what events the planner has managed before will give you an idea into their qualifications and areas of expertise. We are not saying that an event planner has to have a lot of knowledge in your niche area to do a good job, but it’s better to know that he/she has done events similar to yours in the past. Another important information to have is to know exactly if this event planner can handle all your requirements. You will need to establish if you need them to find a venue, take care of catering, audio-visual, transportation, etc. A good planner will have a preferred list of vendors and even venues that they’ve worked with in the past and they should be able to secure contracts and deals for you and meet all of your needs. What services are included in your fee? Event planners have different ways of charging for their services (hourly, flat fee, percentage, etc.) and while most of them are upfront about costs sometimes some services may not be included in their fee. You will need to establish and discuss all the fees up front so there are no surprises later! What staff do you have? Depending on the size of the agency, you will be working with the person you are meeting with, for smaller agencies, or for larger companies, you can sometimes be assigned to someone. That is why you will need to establish who your day-to-day contact will be, if there will be a team of people working your event or just one and how will your event be staffed the day of it. Just make sure that you have a good connection and feeling about the person you are working with and most important, make sure that you meet them! One of the most important factors when planning an event is to remember that things may happen that are beyond your control. Make sure you know the exact details of your contract and the terms for cancelling, postponing or changing the event. While most organisers will charge you for all the hours and services they’ve put in up until the point of change, keep in mind that other suppliers such as the venue and caterer will have their own cancellation terms, so you have to make sure you know all these details up front in order to maintain sanity in case unexpected things happen. Finally, be sure to interview and evaluate a good selection of firms and individuals before making your decision but keep in mind that one of the most important thing is to hire someone you like because your event planner has to be an assistant, friend and manager all wrapped up in one. Candlelight is a very good option to save money since lighting each guest table can get very expensive. One other benefit is that candle flames make people happier and will definitely put a smile on your guest’s faces, while making everybody look good. Whether it’s an outdoors event or an indoors one, strings of lights can have a big impact on your event and take it from normal to fairytale land. Combined with sheer fabric you can hide hardware and create the perfect soft romantic theme. Paper lanterns are a very inexpensive and fun idea to dress up your event. You can go for colored globes, patterned or you can keep it simple and romantic. Lasers are a popular and old school lighting idea that is always good. The best thing about them is that lasers have the ability to sync with your music, it can draw shapes or pictures on surfaces and it can cover the entire space and span across the audience at the touch of a button. If you have a white blank wall at your event venue and don’t know what to do with it, there’s a solution. You can rent a projector and show a slideshow of photos, or project nature scenes or chandeliers. This is a cool visual interest idea and it can go as an art piece and also help with the lighting part. Wireless lights are growing more and more popular and you can get why. They are easy to use and the most important thing is that they can be put in very hard areas to light. They are a perfect way to incorporate lighting to an outdoors event that doesn’t have easy access to outlets and they will transform your event wherever the location may be. LEDs are another very new and popular choice in the last few years. The benefits of LEDs range from less power to easier to manage and one of the most important benefit being safer since they don’t produce heat. And let’s not forget that it can make any even more futuristic in seconds. For an outdoors wedding or even a very elegant event, suspended illumination can be romantic or modern. You can transform it by simply choosing the model of the light: you can go for romantic and make some beautiful string lights with candles and glasses or you can go for modern and go with some LED bulb. Want to express your thoughts through lighting? You can go for letter lighting piece and you can make it the centerpiece of your event. You can spell out a theme word for the party or even your monogram or logo! Light columns are another favorite in the lighting department. You can go pro and get already made, simple, clean columns or you can do it yourself with a few paper lanterns, a bamboo stick and 50 bulb string of lights. Imagination has no limit! The result is stunning no matter what. Zapstars Productions Meets Megan Washington. 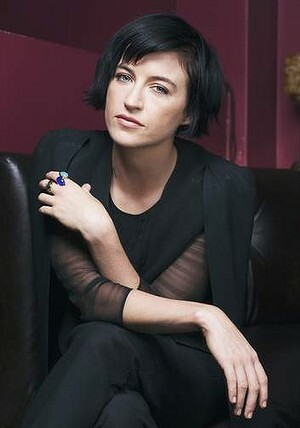 Megan Washington plays in front of an intimate audience to help raise funds for Support Act. Support Act is a charity, unique in Australia, helping music professionals who are facing hardship due to illness, injury or some other crisis that impacts on their ability to work in music. Support Act is a charity founded in 1997 by the music industry, for the music industry in recognition that a career in music can be full of pitfalls and that a life crisis can quickly lead to financial hardship.